This week in my “Magic and Mysticism” class, we are discussing what medieval people knew about the world and the cosmos, and how they learned it. This gave me a great opportunity to share a bit about the tradition of the liberal arts and why colleges like Hood still believe in the broad base of knowledge offered by a liberal arts education. 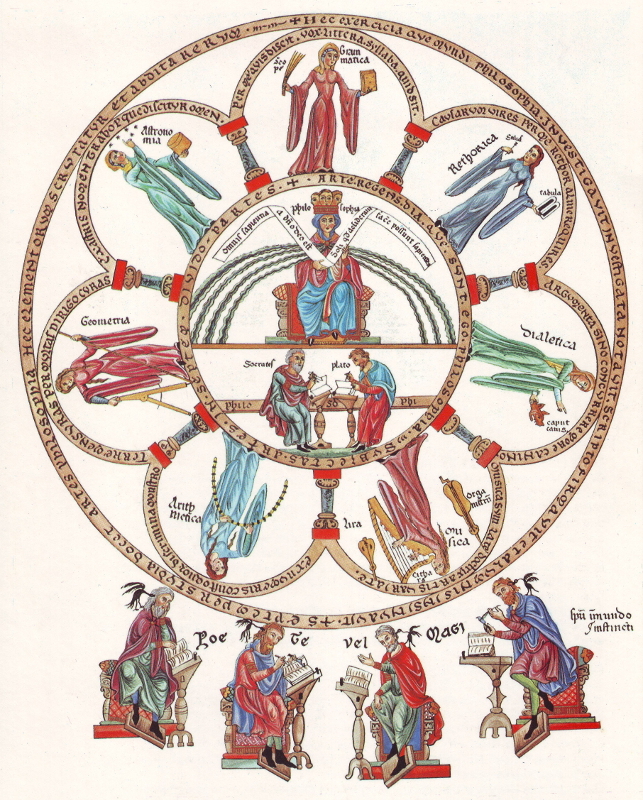 Although that education has changed quite a bit since those early medieval universities, my students and I remain indebted to the medieval liberal arts tradition every day we step foot in a classroom. learning to think critically, to reason, to push the boundaries of received knowledge is the value that [students] should seek to gain from their college education. Economic value, career value, and social value. Great and successful careers rarely end up having much connection to majors. They do to intelligence, leadership, innovation, creativity, aptitude in assessing uncertainty, ability. Not surprisingly, the corporate representatives I have interviewed … routinely echo Abelard in what they are looking for: critical thinking, an ability to deal with ambiguity, to reach conclusions based on considered mastery of research and context, and so forth.